In the age of neoliberalism, owners are prone to expect the highest and best use from their properties. 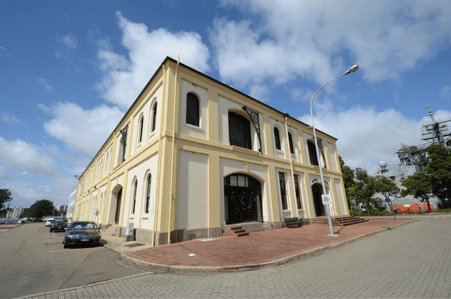 Highest and best use of heritage properties as an ideal is prone to failure when balancing it against the basic principles of cultural built heritage, which are to protect identified cultural heritage significance. Precisely where to strike the balance, is the question. Local councils struggle to find an answer to this because their remit includes both private owners and the public interest. Although all planning is affected by this, heritage sits squarely in the centre of the unresolved issue. Politicians who enter the fray are likely to manipulate the imbalance either in favour of pro-development groups or concerned citizens and communities. The issue is vexed with indeterminacy and political skulduggery. At one end of the spectrum are the proud owners of heritage places who are passionate about their properties and at the other end, there are the pro-development lobby groups that believe, on account of rapidly expanding civic populations, development has become a carte blanch strategic planning mandate. According to them, the less fettered development is, the sooner growth can be realised. Naturally, this poses a threat to the locally listed stock of buildings and places. Between the proud owners of heritage places and the anti-heritage lobby, sits a contingent of concerned citizens and communities. This group is vigilant and proactive and in many local areas, is prone to scrutinise council’s resolutions regarding the listed stock to ensure that appropriate decisions are made, fair and equitably. Oversight of council decisions by a higher commission is vested in the Land & Environment Court of NSW. It is in this Court that disaffected owners can present their case in response to refused applications involving heritage buildings or where council processes used to arrive at certain decisions can be queried as to their veracity or potential bias. As is the case with all properties, owners of heritage places have a special interest and concern in all activities that affect the character of the area in which they live. Proposed new structures that do not meld in with their surroundings or are too bulky or out of scale, will immediately raise the ire of neighbours. In this sense, development has become not only an activity generated by the individual home owner or property developer, but a shared activity amongst all parties potentially affected. Key to the interaction with councils, private owners, developers and communities is the assessment of impacts. There are specific rules of engagement for this. In NSW, this is enshrined in Section 79C of the Environmental Planning & Assessment Act, 1979. Insofar as heritage is concerned, councils need to undertake assessment of impacts potentially generated by new development in conservation areas, on properties listed as heritage items and on properties close to or nearby listed items. In most cases, the assessments are carried out by professionals on behalf of the owners or developers.